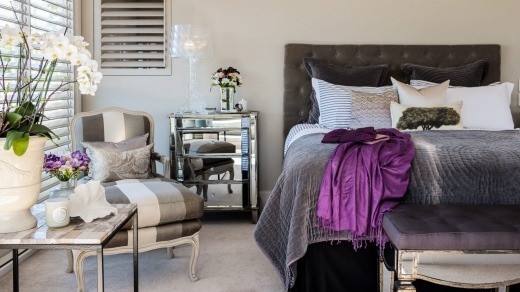 Sheriden Rhodes samples a lavish new benchmark in Kiwi luxury. New Zealand is dotted with superlative, luxury lodges, with fly-fishing, country walks and five-course degustation meals on tap. 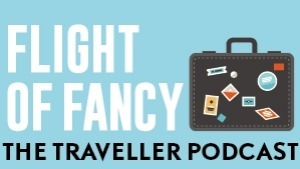 Even if travellers have never stayed in one, generally they can rattle off their names like they would luxury brand name clothing: Huka, Blanket Bay, Kauri Cliffs... Auckland, however, has lagged behind. St Marys Residencehopes to change all that: it has the lofty ambition of becoming Auckland's best statement stay. 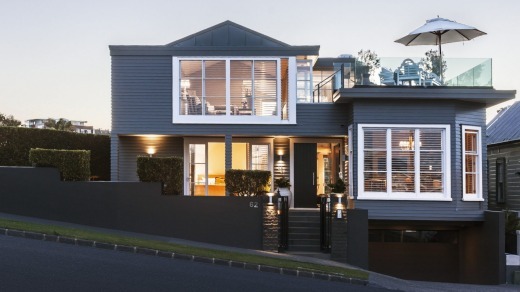 Located in historic, inner-city St Marys Bay, moments from the hip Ponsonby Road strip, the villa opened late last year . It's Ralph Lauren meets Auckland's Asian and Pasifika influences, with a liberal dash of the Hamptons. And for those who can afford the hefty price tag, it's all yours. Uber stylish Manjit Kaur and Michael Coutts, who run a recruitment business and have a hospitality background, have watched Auckland evolve from a staid CBD, where people passed through to get elsewhere in New Zealand, into a bustling, interesting metropolis. "The country's world-class events have mobilised everyone. Our decision to open St Marys was influenced by Tourism New Zealand's premium sector strategy, which is dedicated to attracting the well heeled to our shores," Kaur explains. 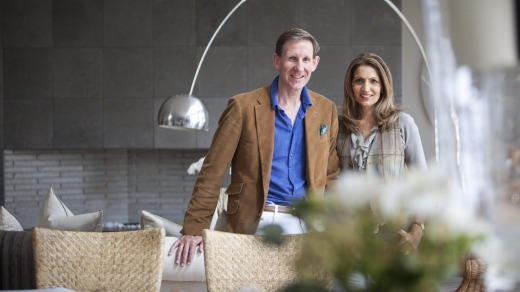 So when the traditional villa came on the market, Kaur and Coutts jumped. 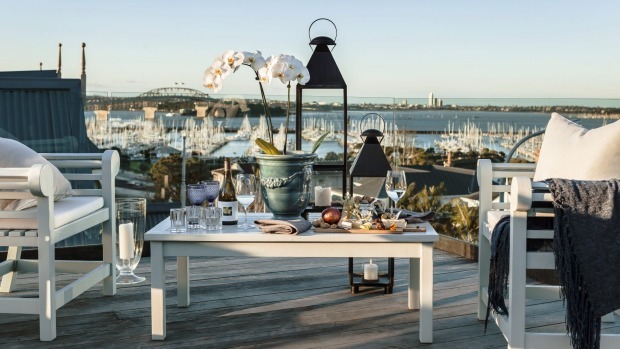 Over two years, with an architect's input, the heritage building was straightened; an upstairs deck added to capture the sea, island and cityscape; and a terrace and outdoor fireplace added. The result is an inimitable urban escape; the type of place Koutts and Kaur prefer to stay in while travelling the globe.Their approach is: whether you're staying in or going out, they're still hosting you. If you want to be dropped off at the rugby, no problem. If you got carried away at the shops, they'll send a driver to pick up your bags. With just three bedrooms, the 341sq m villa comes with concierge, butler and personal chef services. St Marys recently gained accreditation as a luxury lodge - with a unique twist. You'll never share the residence with other guests. Bespoke services and amenities are included. Want to go for a spin on a super yacht? Join a private, hosted sake tasting and dinner with New Zealand's only sake master? That can be arranged. Luxuriously decorated by renowned interior designer Anna Desbonnets, St Marys offers seamless indoor-outdoor luxury. Upstairs the Pacific Ocean master suite, with sprawling limestone bathroom, segues effortlessly with the adjoining lounge and bar (stocked with NZ wines and craft beers). Both rooms flow onto the private roof terrace, with outdoor fireplace offering views over Waitemata Harbour and the arch of Auckland Harbour Bridge. It's here we enjoy canapés and wine as the sun sets, followed the next morning by breakfast couscous with pomegranate, medjool dates, figs, pistachios, buffalo yoghurt and cardamom milk. Downstairs, the Courtyard Garden suite has French doors opening onto an exquisitely manicured garden. If you're travelling with a PA, nanny or even your bodyguard (yep that's a thing), a companion room downstairs can accommodate the entire entourage. A spacious Great Room at the front of the house allows CEOs to hold discreet meetings, or celebrities to meet the media. St Marys has a tight, hand-crafted wine list, craft beer selection and tasting menus prepared from the best of local produce by the villa's own private chef - formerly head chef at a Relais and Chateaux property in New Zealand. We dine at the bustling Blue Breeze Inn along Ponsonby Road, Auckland's thriving retail and restaurant strip. We enjoy cocktails and the restaurant's infamous pork buns before having a nightcap at SPQR, an iconic Auckland eatery that never seems to go out of fashion. We finish with tea in front of the outdoor fireplace on St Marys upper terrace. St Marys is unquestionably expensive – the cost of a penthouse suite at one of the city's leading five star luxury hotels – but for those that want personable, attentive service and for it to be all about them, it won't disappoint. Air New Zealand flies from Sydney and Melbourne to Auckland; www.airnewzealand.com.au. Exclusive use of St Marys Residence is priced from $NZ3000 per night for two people, including personal transfers from Auckland Airport, Laurent Perrier Champagne and canapés on arrival, chef-catered gourmet-style breakfast, handmade treats, New Zealand wine, craft beer, mineral water, fresh juice, tea and coffee, and complimentary personal driver service for local pick-ups and drop-offs. See www.stmarysresidence.co.nz. The writer was a guest of St Marys Residence, Tourism New Zealand and Air New Zealand.